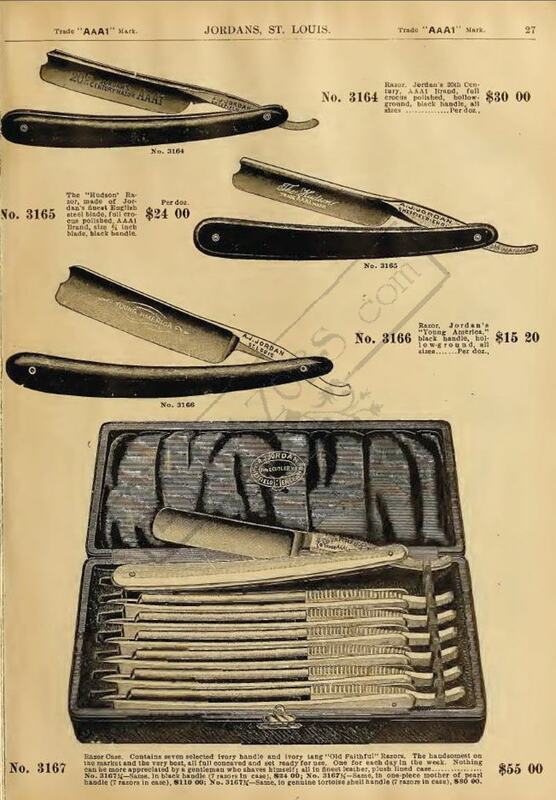 STRAZORS.com - all about classic razors - A.J. Jordan, Sheffield & St Louis. Andrew Jackson Jordan was born in Baltimore in 1845. 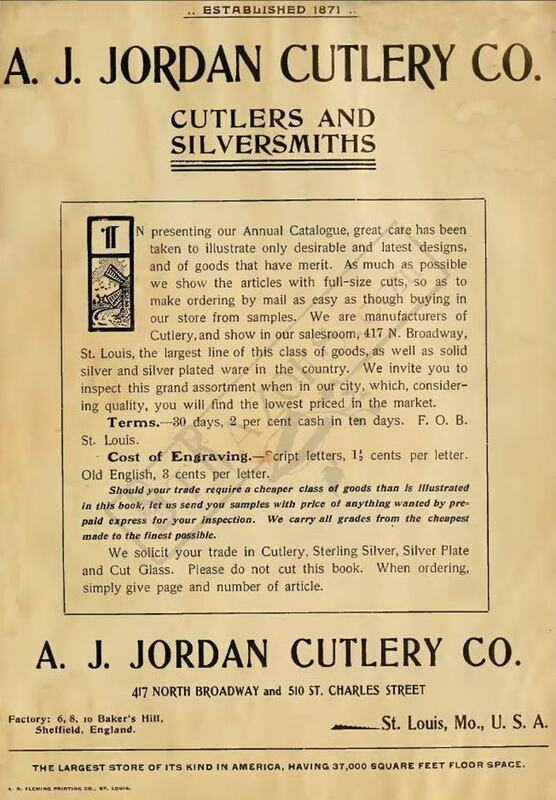 He established a cutlery retailing business in St Louis in 1871, which at first imported German goods. Jordan liked quality in cutlery and that led him to look across the Atlantic. 'His trade was almost entirely in America, but it was in Sheffield that he established his factory, as he wished to deal only in first-class Sheffield goods' (Sheffield Daily Telegraph, 22 June 1929). In 1885 he started his own business in the town, first in Radford Street, and then in a more substantial building (East India Works) in Baker's Hill. By 1900, Jordan had moved his operations to a larger factory in Furnival Street. He acted as agent for an early American version of the safety razor - the 'Star' - made by Kampfe Bros. he also had cutlery made in Germany. Andrew Jordan left Sheffield for the last time in 1920. It marked his retirement and the US business was renamed the C.D. 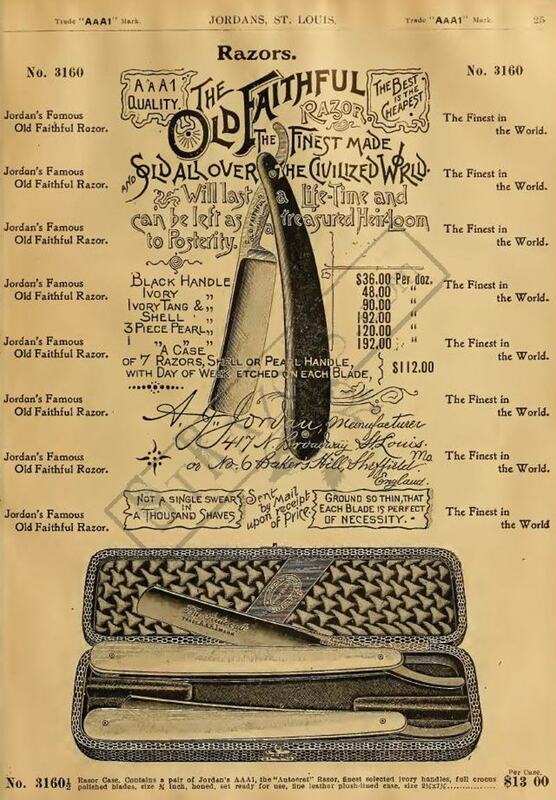 Jordan Cutlery Co. Jordan died in St Louis on 3 June 1929, aged 83, with his Sheffield firm still making razors. But it didn't survive his passing.